Starlight is a cute story with a touch of the paranormal and a touch of romance. The plot is sweet and rather adorable which I think would appeal to a younger YA audience. I liked the message main character Adrienne learned. Adrienne is a miserable high school girl. Though she tries to fly under the radar, things keep happening to draw her into a spotlight that includes bullying and teasing. What girl hasn't looked into the sky and wished upon a star? When Saiph appears, she is reluctant to believe him, but he changes her mind with magic. Through her friendship with Saiph, Adrienne grows as a person and somewhat comes into herself. Saiph is a fun character. He's spunky, funny, and overall adorable. Adrienne is granted three wishes from her fallen star, which she proceeds to use for popularity, a first kiss, and a date to the winter dance. Life begins to change for her due to Saiph's involvement. He followers her to school where laughter and mayhem ensue. 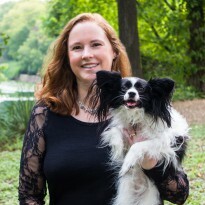 Adrienne's issues are deep-rooted and not something that would disappear overnight. The plot is fast-paced and rather fantastical. Things work out a bit too well in the end, but if they didn't then this would be an entirely different kind of story. 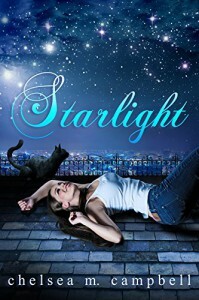 I recommend Starlight to fans of fairy tales with happily ever after endings. This book is also appropriate for middle school readers.